“You’re grounded until you’re 18!” Most parents have said something along those lines at least one time or another. Sometimes, when you’re at a loss for rational words, those types of threats can just fly out of your mouth without a lot of thought. Whether you’ve threatened to cancel Christmas, or you said you were going to call the police if he doesn't straighten out, the way you recover from your overreaction is important. Turn your angry outburst in into an opportunity to teach your child important life lessons. It can be tempting to ignore the outrageous threat you made once you’re calm. But that sends your child the wrong message. He’ll start to believe that you don’t really mean what you say. Of course, that doesn’t mean you should necessarily follow through with what you said either. If you said you were going to bag up every toy he owns and throw it away--because you were angry that he didn’t pick up his room--don’t get out the trash bags. But pretending like you never said anything isn’t helpful either. It may leave your child feeling anxious as he waits to see if you’re going to make good on your threat. And he’ll be left feeling confused when the punishment never comes. When you’ve calmed down, and you’ve realized you can’t possibly follow through with your threat, sit down and talk with your child. Role model how to take responsibility for your behavior. Apologize and make it clear that you’re not going to follow through with the outrageous punishment you threatened. Replace the outrageous consequence you threatened with a more logical consequence. If your child hasn’t picked up his toys, take away his privileges until he’s cleaned up. Or if your teen missed his curfew, ground him for a week. Explain the new consequence to your child and make it clear that you’re going to follow through with it. Show him that you aim to mean what you say and say what you mean. Sometimes, over-the-top threats stem from too much stress. 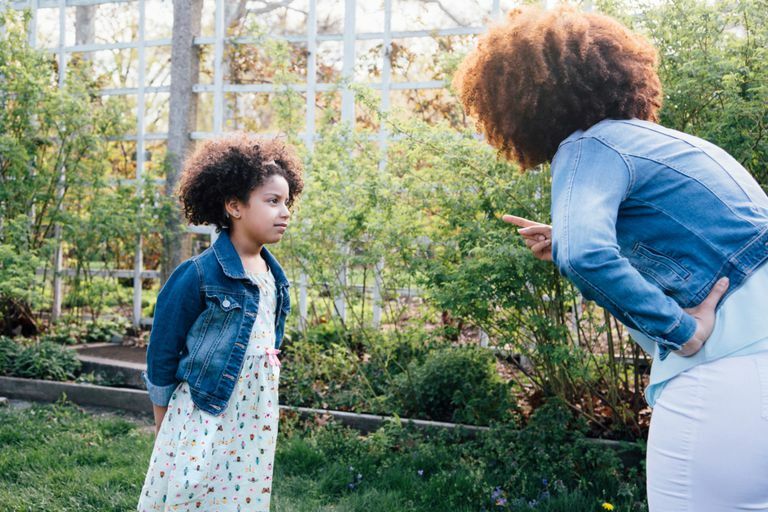 If you’re frazzled when you come home from work, or you’re dealing with a serious financial strain, you’ll be more likely to lash out at your child. If that’s the case, take your behavior as a warning sign that your stress level is way too high. Take steps to manage your stress in a healthy manner so you can be the best parent you can be. If your overreaction stemmed frustration over your child’s constant misbehavior, develop a plan to deal with it. Identify more effective consequences you can use today--as well as in the future. Being proactive will help you to become less reactive. Create a system that will discourage misbehavior. A token economy system or a behavior chart can go a long way toward encouraging your child to behave. If you overreacted because you were in a state of shock--or panic--practice taking a deep breath before you respond. Whether your child said he hated you or he tried to run away, know that you’re likely to overreact when you’re feeling really emotional. Keep that in mind so you can remind yourself not to hand out any consequences in the future when you experience intense emotions. If you’re comments went beyond making an idle threat, it’s important to do some serious damage control. There are certain things you should never say to a child. If you’re comments or your behavior crossed the line, it can have a negative impact on your child. Be firm and honest with your child, but choose your words carefully. If you have trouble managing your anger, seek professional help. A trained mental health professional can assist you in regulating your emotions and improving your parenting skills.